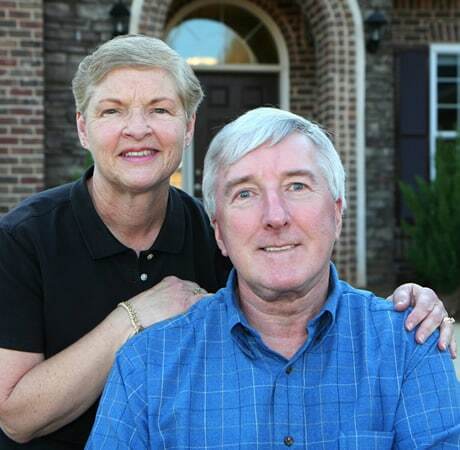 "It's completely automatic, and that's quite a relief." 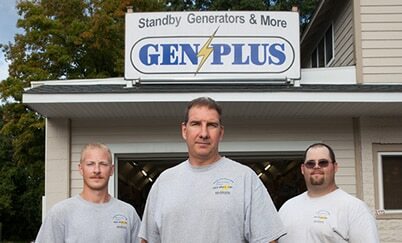 “We don’t just sell generators. We're one of the only generator services in Ulster County that’s factory trained and certified by Generac and Kohler to install, service and do warranty work. 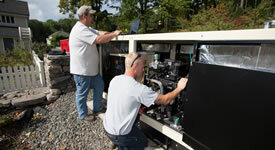 We’ll size a generator that’s right for your needs and your budget. And When The Power Goes Out For Everyone Else, Your Power is Back On in 30 Seconds, Even if You're Not Home! “This is something you do once and I plan on staying in my home. So I said, if you're going to do it, just do it now. I wanted one company that specialized in installing generators and could do the entire project without having to subcontract any of it out. In 2012, Hurricane Sandy knocked power out for many weeks throughout NY. In the Hudson Valley, entire towns like Woodstock went completely black for more than 5 days. That was a wakeup call for many… Relying on Central Hudson to restore power in a few hours – or even a few days – isn’t always realistic. Lose power in sub-zero weather and your pipes will freeze and burst in as little as 24 hours. This can mean thousands of dollars in water damage to your home, not to mention expensive plumbing repair work. Homes in flood-prone areas often rely on sump pumps to keep the basement from flooding – but if your power goes out, your sump pump won’t work, and your basement will flood. With an automatic generator, you won’t have to worry about flood damage. One power outage could cripple your business... or it could pay off, if you’re prepared for it! With a reliable backup plan, a power outage could actually boost your business – you’ll be up and running while your competitors are still sitting in the dark. In NY State, you get a capital improvement tax break on a permanent generator installation... and we’ll take care of all the paperwork for you! We have the factory training and the certifications needed to handle all aspects of repair and service, plus we have the resources to provide you with emergency support, should you ever need it. “They’ve been very honest, fair and reliable... a pleasure to work with... .
Once we had a huge storm and the generator didn’t kick on and I called them on an emergency basis. They managed to get here in 45 minutes in very dangerous conditions. When your power stops, will your cashflow stop too? It won't, if you're prepared. Having a generator for your home is no longer considered a luxury, it’s a necessity. 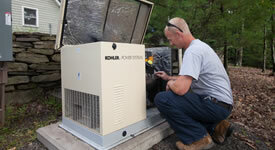 We'll stand behind your generator installation with 24/7 year round support.